Several reports in the past couple of days have indicated that LG is planning to launch a variant of the G7 Fit smartphone called the Q9. The device is expected to be released in select markets across Europe, Latin America, Asia, and Africa. It was recently spotted on Google Android Enterprise website, which showed a couple of features of the device. Now, the LG Q9 has been spotted on the Google Play Console website, which has revealed that the phone will come with a Qualcomm Snapdragon 821 SoC. While the earlier reports indicated that the LG Q9 will be powered by a Qualcomm Snapdragon 660 processor, the latest leak suggests otherwise. Just like the LG G7 Fit, the Q9 will also be packing in a Snapdragon 821 SoC, suggests the Google Play Console listing. The leak also indicates that the LG Q9 will offer 4GB of RAM and an Adreno 530 GPU. The device could offer a screen resolution of 1,080 x 2,340 pixels, a screen density of 420 DPI, and boot Android 8.1 Oreo out of the box. 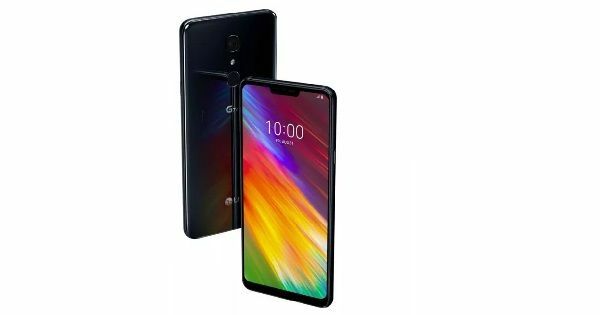 As per the earlier leaks, the LG Q9 could come with minimal bezels and a notch above the screen, which will be home to the front camera, the earpiece, and other sensors. The device is said to offer a 6.1-inch display, and come in two memory variants – 32GB and 64GB. In the camera department, the phone will allegedly offer a 16MP snapper at the rear and an 8MP front shooter. The LG Q9 may come with a rear-mounted fingerprint sensor, a 32-bit Advanced Hi-Fi Quad DAC, and a 3.5mm headphone jack. A 3,000mAh battery with fast charging support will allegedly complete the list of the specs. As of now, there’s no word regarding the pricing and availability details of the handset.